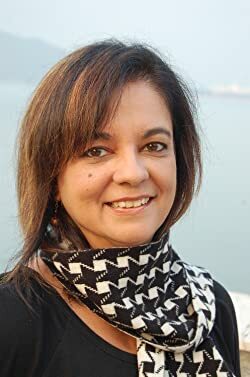 Anita Moorjani was born in Singapore of Indian parents, moved to Hong Kong at the age of two, and has lived in Hong Kong most of her life. Because of her background and British education, she is multi lingual and, from the age of two, grew up speaking English, Cantonese and an Indian dialect simultaneously. She had been working in the corporate field for several years before being diagnosed with cancer in April of 2002. Doctors had given her mere hours to live when she arrived at the hospital in a coma on the morning of February 2, 2006. Unable to move, and in a deep coma as the result of the cancer that had ravaged her body for nearly four years, Anita entered another dimension, where she experienced great clarity and understanding of her life and purpose here on earth, and was given a choice of whether to return to life or not. Anita chose to return to life when she realized that "heaven" is a state, and not a place. This subsequently resulted in a remarkable and complete recovery of her health within days of her return. Her fascinating and moving near-death experience in early 2006 has tremendously changed her perspective on life. Her life is now ingrained with the depths and insights she gained while in the other realm. World renowned author, Dr. Wayne Dyer, discovered Anita's story and encouraged her to write a book. Subsequently, she appeared in Dr. Wayne Dyer's TV special, "Wishes Fulfilled," aired frequently on PBS, and has become something of an international sensation since her book "Dying to be Me" hit the New York Times bestsellers list only two weeks after its release in March, 2012. Anita is currently one of the most sought after motivational speakers and addresses sell out crowds all over the world. Please enter your email address and click the Follow button to follow Anita Moorjani!